As someone new to the world of pet blogging, I was happy to be asked by Pamela from Something Wagging This Way Comes to take part in the Pet Blogger’s Gift Exchange. It’s a great way for both you and me to get to know some of the best pet bloggers on the Internet. I would like to introduce you to Jenna Drady, author of Love is being owned by a husky! Not only is Jenna a mom to four children, but she also owns three beautiful Siberian Huskies (Mika, Lexus and Koda), three cats and she still has time to write some awesome articles on her blog. Wow, she is one busy lady and she likes it that way. If you own a Husky or are thinking about being owned by a Husky, as Jenna would say, her website is your one-stop shop for everything Husky. There’s a wealth of information on her blog, from the basics of deciding if a Husky is right for you, to helping you locate an adoptable Husky. Her pros and cons of owning a Husky will ensure you understand what you may be getting into if you decide to adopt one of these amazing dogs. Jenna has a strong passion for the breed and is happy to hear from readers who may have questions either before or after adopting a Siberian Husky. But wait, there’s more! Even if you don’t own a Husky, you’re going to find a ton of interesting dog articles, useful tips, helpful product reviews and plenty of fun, creative posts. Jenna likes to keep it real and you’ll enjoy her entertaining writing style. If that wasn’t enough, Jenna also finds time to create some really cool, handmade products that you can purchase from her Pawz ‘N’ Clawz store. I especially like the handmade, dog themed jewelry which is both fun and affordable and because Jenna donates a portion of the proceeds from her sales to local shelters, you can buy something unique and feel good about your purchase at the same time. This mother daughter team also takes custom jewelry requests and makes gift giving easy. To sum it up, Love is being owned by a husky is an amazing website for all dog lovers and if you own or love Siberian Huskies, you’ll be especially thrilled to get to know Jenna through her blog. Thank you Jenna for participating in this year’s Pet Blogger’s Gift Exchange. It’s been great partnering with you and getting to know you. I look forward to more of your inspiring articles in 2015! A big “thank you” goes to Pamela for hosting the gift exchange. If you haven’t visited Something Wagging This Way Comes yet, be sure to check out some of the wonderful articles there, as well as other pet bloggers participating in the gift exchange. The holidays can be pretty chaotic, so take a moment to relax from the craziness, settle in with a warm, holiday drink and explore some of the best pet bloggers on the Internet. Wonderful, wonderful post!!! LOVED Seeing Jenna here! She is such a sweetheart and so genuinely kind to others! I have no idea how she finds the time to do all that she does! Thank you Caren, I was blown away by Jenna and all that she does, she’s one amazing blogger! And thank you Elaine, I really appreciate this post! It has been lovely to meet you, and I am so so happy to have discovered your blog!!! This is such a great idea; I’m glad you’re taking part in it. I love learning more about pet bloggers and Jenna’s blog happens to be one of the ones I’m a big fan of. If I’m feeling down I know I can find something to cheer me up there – she’s got such a fun way with words. Yes, I got very lucky with my partner for the Pet Blogger’s Gift Exchange! Great post – we’re fans of the husky crew and visit often. Thanks! I’m now a big fan as well! 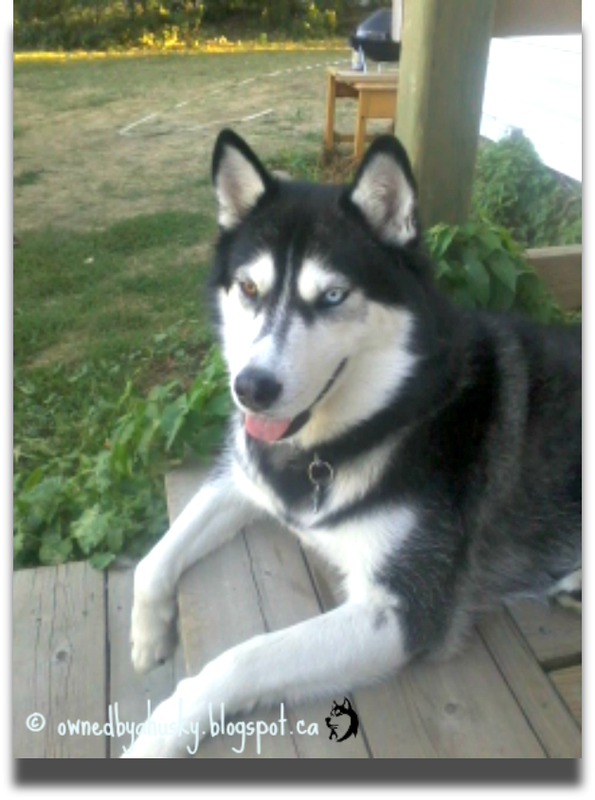 We love the huskies, great blog and you did a pawsome job on your coverage of them! Thank you Emma, I had a good time getting to know Jenna and her pack and it was a pleasure to write the post. I think I have heard of this blog before, but it’s not one that I regularly visit. I’m going to go over and check it out. I think everyone loves huskies! They are such great and beautiful dogs. They are gorgeous dogs and there’s a lot of fun and valuable information on Jenna’s site. I’m glad you’ll check her out. The Husky’s are a great bunch to follow. You did an excellent job summing it all up. Jenna is quite talented as an artist as well. Thank you for putting this together so nicely. Oh, thanks so much for your great post introducing Jenna and her husky pals to everyone. And yes, if I think too long about all the things she does in a day I’m going to go insane. So glad you decided to join the Pet Blogger’s Gift Exchange. Isn’t it fun to read nice things about yourself and just as fun to write them? Thanks Pamela! I’m so glad I decided to join this year. Getting to know Jenna and writing the post was really enjoyable and I love reading what the other bloggers are writing about their partners. 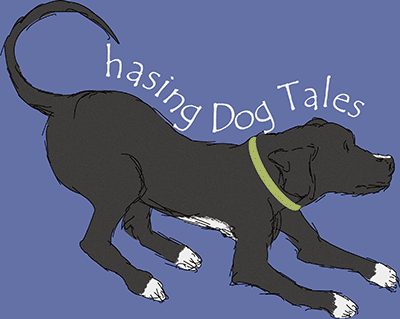 It’s a fantastic way to get the inside stories on some wonderful pet bloggers. I’m already looking forward to joining again next year! That is a great write-up of the Husky Crew. I agree! Jenna has a lot of great articles and I can’t wait to read more from her in 2015. Jenna’s amazing, and her blog is great – especially for husky lovers! I really enjoyed being paired with Jenna for the PBGE. It was great getting to know her better. Huskies are awesome dogs and great companions.